Vaultitude is the easiest way to protect your rights as an inventor online. Powered by secure Blockchain Technology it is recommended by leading IP specialists and lawyers. 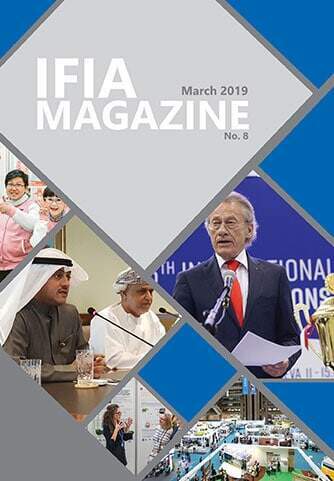 An official partner of IFIA, Vaultitude represents the ideal solution for inventors to protect their interests and remain in control of their creations. 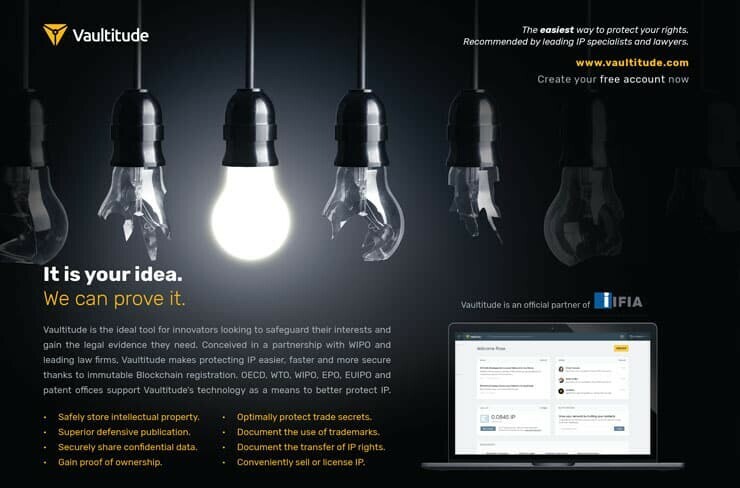 Conceived in a partnership with WIPO, the World Intellectual Property Organization, and leading law firms, Vaultitude requires only a browser and an internet connection and makes protecting Intellectual Property easier, faster and more secure. Using Blockchain technology to document the rights of users in a secure and immutable database, Vaultitude represents a radically new tool in the arsenal of innovators. Vaultitude can be used to gain proof of authorship, to securely share confidential information with third parties, conveniently monetize innovations, document the transfer of ownership and gain freedom to operate through defensive publication. In other words, Vaultitude provides you with exactly the legal evidence you need to safeguard your interests and prevail in legal proceedings. Vaultitude has been specifically designed for the needs of inventors. As a solution for improved IP protection it is being recommended by leading IP specialists and lawyers. 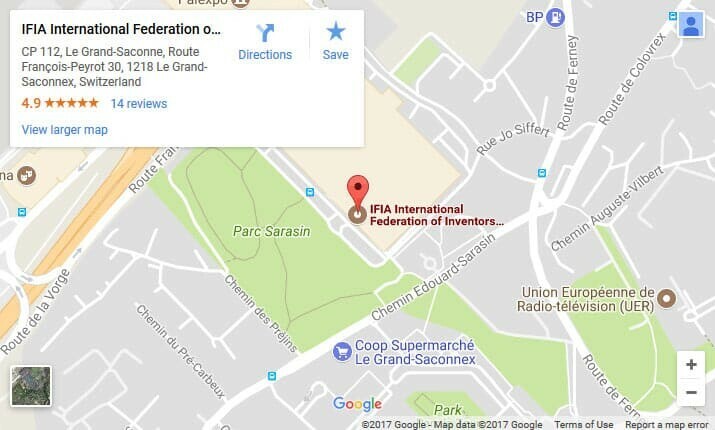 OECD, WTO, WIPO, EPO, EUIPO and many patent offices officially back Vaultitude’s underlying technology as a means to protect intellectual property.